Ever since single-layer graphene burst onto the science scene in 2004, the possibilities for the promising material have seemed nearly endless. With its high electrical conductivity, ability to store energy, and ultra-strong and lightweight structure, graphene has potential for many applications in electronics, energy, the environment, and even medicine. With a volume so meager, those inks are unable to maintain many of graphene’s celebrated properties. But adding higher volumes of graphene flakes to the mix in these ink systems typically results in printed structures too brittle and fragile to manipulate. Shah’s ink is the best of both worlds. At 60-70 percent graphene, it preserves the material’s unique properties, including its electrical conductivity. And it’s flexible and robust enough to print robust macroscopic structures. The ink’s secret lies in its formulation: the graphene flakes are mixed with a biocompatible elastomer and quickly evaporating solvents. 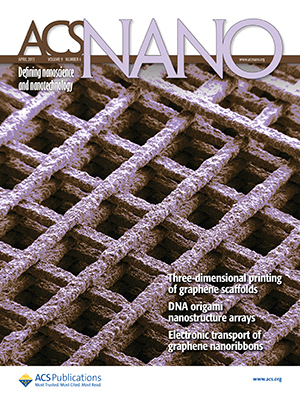 Supported by a Google Gift and a McCormick Research Catalyst Award, the research is described in the paper “Three-dimensional printing of high-content graphene scaffolds for electronic and biomedical applications,” published in the April 2015 issue of ACS Nano. Jakus is the paper’s first author. Mark Hersam, the Bette and Neison Harris Chair in Teaching Excellence, professor of materials science and engineering at McCormick, served as coauthor. The printed graphene structure is also flexible and strong enough to be easily sutured to existing tissues, so it could be used for biodegradable sensors and medical implants. Shah said the biocompatible elastomer and graphene’s electrical conductivity most likely contributed to the scaffold’s biological success. The graphene-based ink directly follows work that Shah and her graduate student Alexandra Rutz completed earlier in the year to develop more cell-compatible, water-based, printable gels. 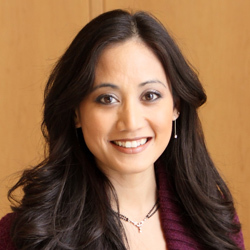 As chronicled in a paper published in the January 2015 issue of Advanced Materials, Shah’s team developed 30 printable bioink formulations, all of which are compatible materials for tissues and organs. These inks can print 3-D structures that could potentially act as the starting point for more complex organs.